BCCI provisionally lifts ban on Rahul and Pandya. 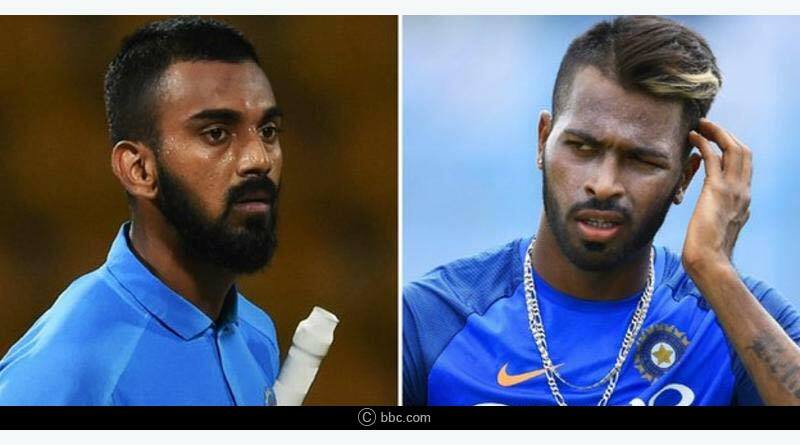 The Board Of Control In Cricket In India has revealed that is has decided to provisionally raise the ban over the tainted duo of KL Rahul and Hardik Pandya. The suspension orders dated 11-1-2019 following the pair’s crass and cringe-worthy comments on a television show have been lifted for the time being, pending the appointment and adjudication of the allegations by the BCCI Ombudsman. The move comes after there was heavy unclarity in the matter between the BCCI and the CoA with reports and e-mails exchanged between the two parties showing their disagreement on how to tackle the matter at hand. While the BCCI had wanted a quick resolution of the matter, the CoA had refused to do so, citing that the necessary procedures in place would be followed to ensure that the severity of punishment doled out to the players is correct and severe keeping in lieu the nature of comments spoken by them. “The Committee of Administrators (“CoA”) had, by emails dated 11.01.2019, and in exercise of Rule 41(6) of the Constitution of BCCI, suspended Mr. Hardik Pandya and Mr. K.L. Rahul in view of the allegations of misconduct against them, pending adjudication of the allegations under Rule 46 of the approved BCCI Constitution,” the CoA said. “The suspension orders dated 11.01.2019 is immediately lifted pending appointment and adjudication of the allegations by the BCCI Ombudsman,”. The two players had come under heavy backlash following their comments which had belittled women and shown abject respect towards them. The comments had been treated with massive outrage throughout the country with cricket supporters demanding for the duo to be banned with immediate effect following which they had been sent back from India’s series against Australia. Indian captain Virat Kohli had also lashed out at the pair, talking about the incident and reasserting that such comments were not conducive to a game that has since its inception been considered as the gentleman’s game. Not only had the two put the game in disrespect but also maligned the Indian cricketing community. “From the Indian cricket team point of view, any inappropriate comments that are made in that scenario are something that we definitely don’t support and the two concerned players felt what has gone wrong and they have understood the magnitude of what’s happened,” Kohli said at the SCG ahead of the opening ODI against Australia. What after BCCI provisionally lifts ban on Rahul and Pandya? The misconduct shown by the players calls for the BCCI to incur as heavy a punishment as possible on the duo and show a zero tolerance policy towards indiscipline and irresponsible behaviour. While the initial ban was welcomed by everyone, the absurd decision to lift it all of a sudden has disappointed people in the country. Unfortunately, this is a larger problem in the country’s governing council. This is not the first time that the board had been riddled with infighting with members failing to take proper decisions as per the circumstances ask for. As shown in the recent debacle when it came to appointing the women’s coach to several players long overstaying their side in the squad despite failing repeatedly to this fiasco, the BCCI needs to clean its act up immediately. A thorough reshuffle is needed in the body to ensure that Indian cricket continues moving on the right path.